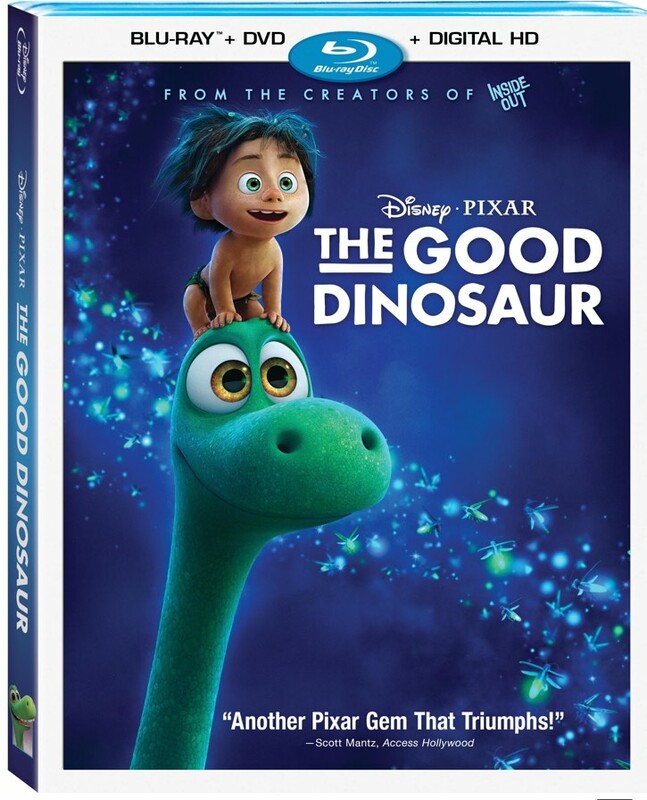 The Good Dinosaur was just released on blu-ray. It was the first time that Pixar released two films in one year. How does this film compare to the other Pixar releases? George: The Good Dinosaur is Pixar’s 16th film. That’s a pretty long run of hit films for any company, especially an animation studio. But, the Good Dinosaur might be the first Pixar film that doesn’t quite cut the muster. At least in my opinion, anyway. Jeff: It’s got all the elements of a Pixar film to make it shine: great characters, gorgeous animation, tons of heart…but for me, it kind of fell flat. It seemed like someone told this one out of the oven too soon, and was very cookie-cutter, by the book formula. George: My initial thought was that it really needed to be a 25- or 45- minute special. Something that could be released on television or as a download special. As Jeff mentioned, it was very cookie-cutter and the best comment I heard was that The Good Dinosaur is The Lion King meets Cars! But it does have slightly more merit than that. Jeff: There was a shake up when the original director of the film stepped down, and someone else replaced him. The story was revamped, and they basically started from scratch, but with the same release date. I think they may have hurt them all in the end. Arlo and Spot make the trek to Expedition Everest! AN UNLIKELY PAIR – In Disney•Pixar’s THE GOOD DINOSAUR, Arlo, an Apatosaurus, encounters a human named Spot. Together, they brave an epic journey through a harsh and mysterious landscape. Directed by Peter Sohn, THE GOOD DINOSAUR opens in theaters nationwide Nov. 25, 2015. ©2015 Disney•Pixar. All Rights Reserved. Arlo and Spot make the trek to Expedition Everest! George: Despite the issues with the story, the film is incredibly gorgeous and the most photo-realistic animated film that I’ve ever seen. Pixar has water down pat and it looks good. The rest of the scenes are just as beautiful and I found myself paying more attention to the backgrounds than the actual characters or the story. It’s been hard to put my finger on what’s missing, but it’s just not on the same level. Jeff: Like George mentioned the backgrounds and environments are top notch. To contrast, the animators made the characters goofy-looking. It works, for the most part, but I can’t help but wonder if this is why I was kept out of the film a little bit? THE GOOD DINOSAUR – Pictured (L-R): Arlo, Spot. ©2015 Disney•Pixar. All Rights Reserved. George: I think the dinosaurs and other talking characters had to be drawn like cartoon characters, but they also threw in some very real-looking animals. It seemed like it drew a line between the characters that had emotion and intelligence versus the animals that were just animals. It was odd. But, the disc did come with several features, but I’m not sure if they lived up to everything I wanted to see from the film, either. Jeff: I, honestly, enjoyed most of the features. I feel like Pixar special features go a little bit beyond the corporate drivel put on usual Disney Blu-rays, so I was thankful for what we got. There is a look at the journey of the film, from the very beginnings, to scheduling it, and production. Then there is also a look at the digital construction of the dinosaurs, along with a feature on the lies they came up with for the film. AN UNLIKELY PAIR — In Disney•Pixar’s “The Good Dinosaur” Arlo, an Apatosaurus, encounters a human named Spot. Together, they brave an epic journey through a harsh and mysterious landscape. 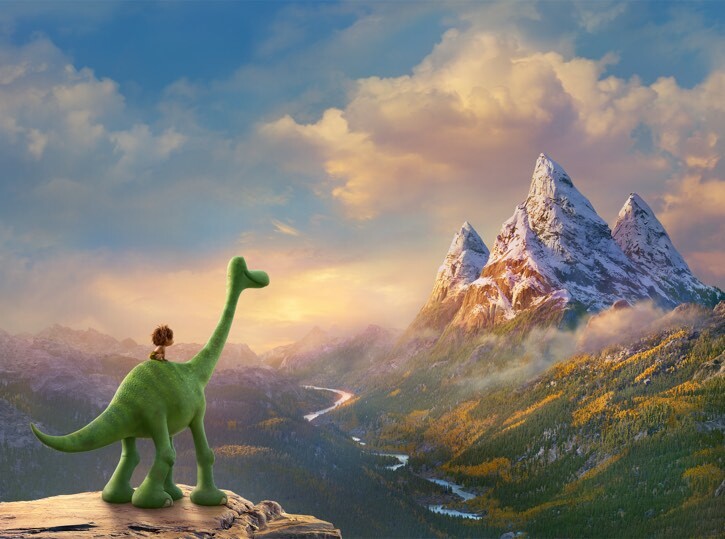 Directed by Peter Sohn, “The Good Dinosaur” opens in theaters nationwide Nov. 25, 2015. ©2015 Disney•Pixar. All Rights Reserved. George: My favorite special was the Recyclasuarus competition. The Pixar employees all had to make dinosaurs out of found material. It was incredibly entertaining to see how Pixar goes to great lengths to take care of their staff and engages them, especially during crunch times. The Sanjay’s Super Team short was very impressive and I’m glad it was included. I love that Pixar gives up-and-coming directors the chance to sharpen their skills. Jeff: Bascially, most of the extras here were a total win for me. Kudos to them for putting together some cool stuff that wasn’t just fluff. It’s shame that the movie wasn’t as good as the rest of it, though. George: I don’t want it to sound like we hated The Good Dinosaur, but it just wasn’t as inventive and exciting as most of Pixar’s previous films. And those are extremely high standards to live up to. My youngest really enjoyed it and it seems like most people are going to have a good time watching the film. If any animation studio had released it, people would be raving about it, but it just didn’t seem like it was up to the Pixar standard. Jeff: Even Pixar’s bad films are better than most films, period, so it’s still worth checking out, I think. Give it a rental, and see what you think. What did you think about The Good Dinosaur? If the Good Dinosaur was rushed to meet a date that needs to end. Disney has plenty of hits, and is a financially solid company. If a movie is not ready they should push it to a further date and finish it the right way. Disney will not go bankrupt, and if Iger stood up and told the stock holders, “we did not meet profits in that division because we changed the release date of a movie so it would done properly and up to our high standards” I guarantee he would get applause. Disney is a brand and protecting the brand long term is more important than an arbitrary release date. The Good Dinosaur was a so so movie. I hope pixar has more creative stories lined up.